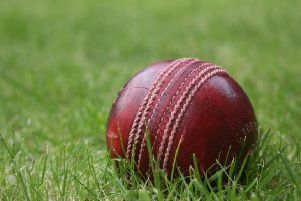 Queniborough’s batsmen made a statement as they brushed aside Thorpe Arnold to maintain their 100 per cent start to the season in Grantham and Melton Cricket Association. Thorpe looked to have posted a defendable total as Charlie Read hit 42 in a total of 183-9 from their 40 overs on Sunday. But the Premier Division leaders had other ideas, reaching their target in just 24 overs, and with eight wickets to spare, thanks to Ram Bapodara (77) and Sam Payne (75). In Division One, Ashby Carington climbed the table with a good win at leaders Grantham. Opener Martin Troop hit 64 and there were contributions down the order as the visitors made 208-8, and then it was down to the Dyers as Grantham replied. Ben Dyer starred with 5 for 24, aided by Jay (2 for 34) and Joe (1 for 15) as the home side were bowled out for 166. Barkby United climbed the table with a 79-run win at Harlaxton, bowling the hosts out for just 113 after Jack Wood (60) and Dan Lever (42) had helped the visitors post 192. Syston (153 all out) remained rooted to the bottom after a heavy defeat at Bottesford who amassed 269-5 thanks to skipper Daniel Barratt (96) and Alfie Morley (81). Sproxton made it four wins from four in Division Two as they ended the unbeaten start of Queniborough Seconds (100), winning by six wickets. But Melton fell agonisingly short of a second Sunday win of the season as they fell four runs short at Welby. Brothers Jamie (65) and Karl Tew (30) led the reply after the hosts were restricted to 147-6, but they lacked support as Melton were bowled out for 143.